The Aspen collar is a cervical spinal stabilization device. It is manufactured from plastic and Velcro with replaceable foam liners. The two-piece design allows for simple application and removal. 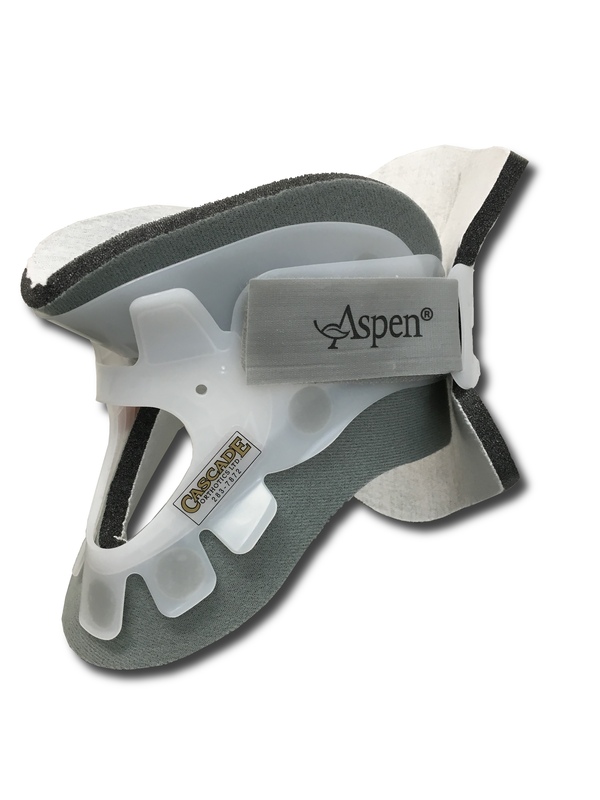 It is easily modified by the Orthotist to maximize comfort, allowing usage for up to 3 months or as recommended by the spinal surgeon. It is often used for short periods of time to allow a patient to accommodate for muscle weakness post-Halo-usage.